Cal Crutchlow is out of the Michelin Australian Motorcycle Grand Prix after sustaining a broken ankle in a crash during Free Practice 2. 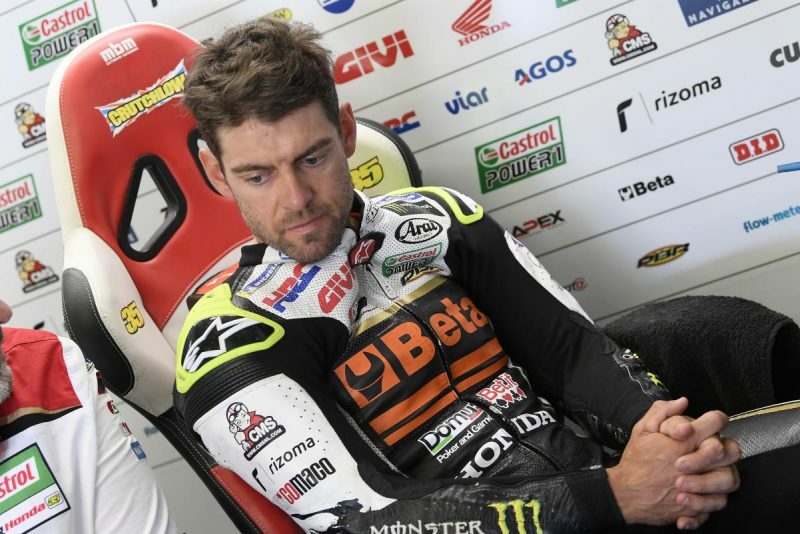 Crutchlow went down at the fast Doohan Corner in the latter third of the 45-minute hit-out and remained lying prone in the gravel trap, before being stretchered away to be examined at the medical centre. The MotoGP medical director has now advised that the Brit has sustained a “bimalleolar fracture and anterior tibia part right ankle fracture”, which will necessitate surgery. Crutchlow had led the session early on before being shuffled back to fifth, which was still the best result for a Honda rider. His LCR Honda team-mate Takaaki Nakagami was 18th in FP2 and 19th on combined times.